The Technical Director/Production Manager supports the Managing Director and Director of Education with the technical operations of all Parkway Playhouse performances and provides logistical oversight and day-to-day administration to all areas of the production process. The Technical Director/Production Manager operates, maintains and safeguards the technical aspects of the theatre and reports directly to the Managing Director. 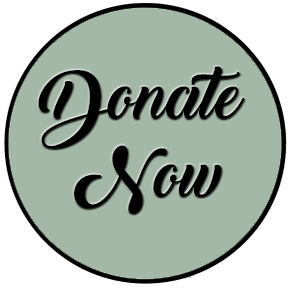 Works to support the mission, vision, and goals of Parkway Playhouse. In collaboration with the Managing Director and Director of Education develops, maintains, and publishes (online) a season schedule for all Mainstage and educational programming as well as associated production deadlines. Develops and communicates production and rehearsal calendars with design deadlines for each production. Determines load-in and technical schedules for Mainstage, educational, and special events. Manages resource calendars for all shared facility spaces. Facilitates clear communications throughout the production season and acts as a liaison between directors, designers, stage managers, and Parkway Playhouse production and administrative staff. Provides coordination and support for facility usage by outside groups and for scheduled special events. In collaboration with Managing Director and Box Office Staff, supervises and ensures completion of basic maintenance tasks; including areas backstage, in the auditorium, sound and lighting systems and equipment, dressing rooms, and any other areas of the theatre that are observed or reported to require attention. Monitors condition of the equipment including lighting, sound, projects, and rigging. Arranges for the repair and replacement within budgetary constraints. Manages housing and living arrangements for out-town-artists, guests, and interns ensuring that all company members move into and out of clean presentable and welcoming housing. This includes working with administrative staff to procure and make housing arrangements as well as being on-site to welcome company members on arrival. Due to the educational focus of Parkway Playhouse and interaction with interns, apprentices, and Parkway Playhouse Junior participants, the Technical Director/Production Manager will be required to successfully pass a background check.